We have returned to a single file download to make it easier to understand what you need, and to make sure that people aren't downloading the wrong files. Please report any issues you encounter at https://www.sc2mapster.com/maps/antioch-chronicles-remastered/tickets/ . 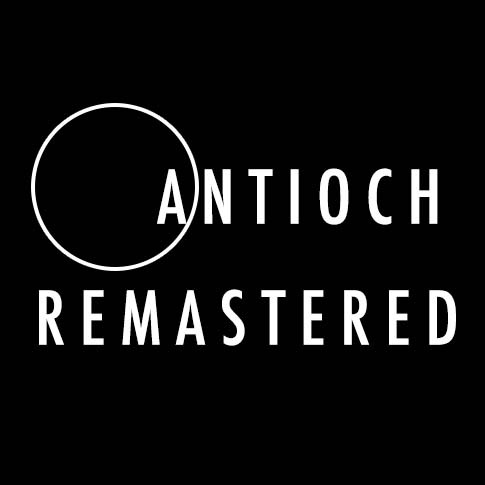 The 2.0 release of Antioch Remastered contains significant improvements and changes. The most significant is support for Mass Recall v6, meaning users no longer must use an outdated version of Mass Recall. This update also includes numerous cosmetic updates, balances changes, and other miscellany. We hope that you enjoy! Added 2-7 back into zip file. Mod: Added new custom Mox model. Mod: Removed mind control from dark archons. All Maps: After claiming endlessly it couldn’t be done, actually bothered to ask how to make the AI stop rebuilding all of the time and implemented EivindL’s blindingly obvious answer in about fifteen minutes, most of which was spent waiting for maps to load. 1-1: Beating the map now advances to 1-2, rather than the main menu. 1-1: Probes have stopped being unable to stop. 1-7: Enabled victory conditions. Yep. That’s all we did. Sorry about that one. 1-8: The regenerated colony no longer attacks during its cutscene. You’re welcome. 2-1: Moved loader text to a position that makes it possible (though does not guarantee the fact) to read. 2-2: Prevented Mox’s forces from preventing the Roger Wilco cutscene from advancing, which prevented the map itself from advancing, which prevented the player from completing the campaign. 2-5: Enforced the No Swimming rule in the southern pool. 2-6: Reduced ending cutscene’s ability to melt graphics cards. 2-6: Allowed the player to progress to map 2-7 at the end of the map, rather than forcing her to play map 2-6 again. 2-7: Muted the music channel during the opening cutscene, even if the player has assumed control of New Antioch’s defenses. 2-7: You might be able to escape the opening cut scene, but you can no longer escape the dialogue by drowning it in music. 2-8: Mox now properly pursues his grudge against Gurney by sending attack waves. 2-8: Rather than ending the episode on a whimper, significantly increased the difficulty of the final section of the map. 2-8: After a romantic dinner, the opening Vespene geyser has cozied up to the Command Center. Mod: Fixed mason's portrait when he sieges. Mod: did some general clean up of the mod data entries. Mod: Gurney is now using the special texture/model that Hammer was kind enough to make for us. Mod: Upon discovery that Khrillian loaded a second weapon onto his corsair we have reduced the effectiveness of them. Mod: Fixed cutscene trigger that rendered many missions unplayable. Multiple Maps: Fixed Nurohk's briefing portrait. 2-4: The tip about locking down the sentry bots is no longer a lie. Unlike the cake. 2-5: Captured and executed the missile turret atop the Koprulu Sector’s Most Wanted list, making this mission much less confusing. Alas, this likely prevents most players from doing a building drop. 2-5: In further efforts to make this mission less hilarious to watch other people play, we now make our reward of dropships quite clear to the player after the destruction of the fourth pirate base. 2-6: Shuttle can longer be killed in explosions. Well, at least not Vespene-related ones. 2-6: Nurohk, no longer shy, has turned his portrait so that more than his bubbles shows. 2-6: In the interest of letting the level be completed, heroes can no longer enter the shuttle. 2-6: Rather than have the player sit around aimlessly, we’ve added an objective to sit around aimlessly once you arrive at the outpost. 2-7: Taking control during the opening cutscene now makes the camera stop following Moloch. Mod: A recent mod update broke Khrillian's portrait. This patch remedies that error. 2-7: Put even more safeguards in place to prevent camera locks if the Executor takes control of New Antioch's defenses. 2-7: Map is now playable. Mod: Corrected Anduin’s hero button. Mod: Updated Nurohk's portrait to Fenix dragoon, since his twin is using Fenix Zealot. Mod: Mox should stop talking over himself now. All maps: Hid alliance button. All Maps: Added decals to all factions. Episode 2: Removed the other way that missions could auto-start. Episode 2: Made all briefings play music. Episode 2: Rather than make you suffer through Judicator Turmaaaaaaalis’s briefings in silence, we’ve re-enabled briefing music. Episode 2: Corrected missing map version numbers. 1-7 and 1-8: Fixed psi cocoon field to dampen units as well as buildings. 1-8: Paused the regrown colony in the colony regrowth cutscene. 2-0: Rather than staying aloof, Rockwell now graces the captain’s forces with his presence. 2-2: Added a lighthearted cutscene of forgiveness for the first time the player murders a civilian. The second time, they get shot in the face, which has a cutscene, too. Oh, we lied about the “lighthearted” bit. 2-2: Because the player is the center of the universe, the trams now only travel if Mox had forces on the beacon at the end of the countdown. 2-2: Restored Quatto to a science vessel portrait again. We think. Maybe. Also gave him a scientist model. 2-3: As jayborino’s reward for beating this level so handily, we made it much harder. 2-4: Made the map a bit more difficult by adding a Scanner Sweep to the alarm sequence. 2-5: Clearing pirate bases now appropriately removes Charlie Mox, rather than cloning him. This is a brand new release of the campaign. As such, it's likely to have bugs. Please report any issues you encounter on the tickets page: https://www.sc2mapster.com/maps/antioch-chronicles-remastered/tickets/ .